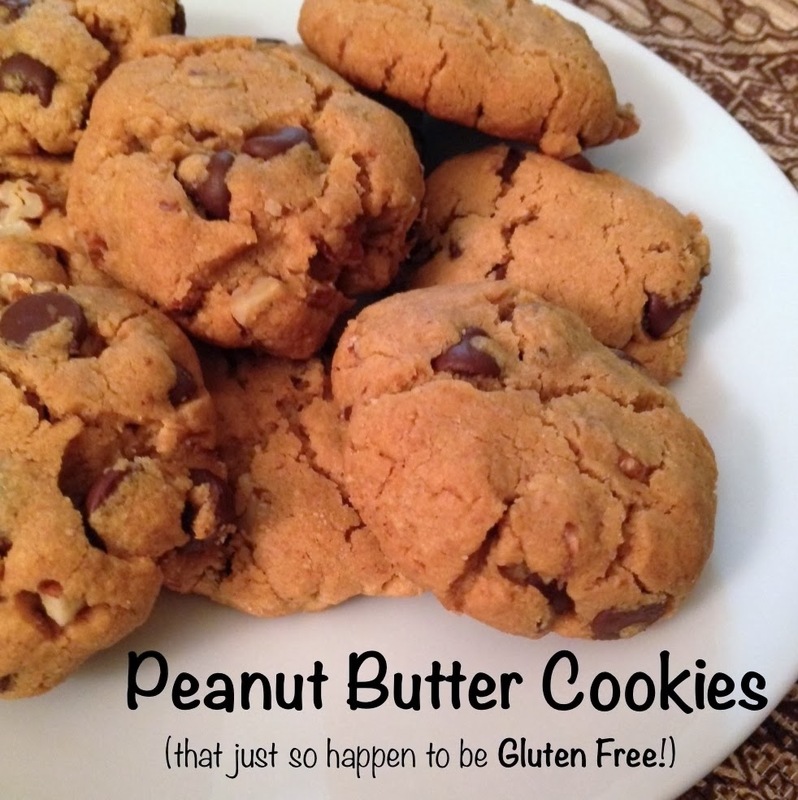 Here is a really simple, delicious peanut butter cookie recipe, that also happens to be gluten free! I personally don’t have to avoid gluten; but because I have a lot of friends that do, I like having a go-to gluten free dessert. What I love about this recipe is it doesn’t require any substitutes or special flours… it just uses a few familiar ingredients that inherently don’t contain gluten. I was going to make a double batch of these cookies anyway (to bring for our church Life Group tomorrow), so I decided to take the opportunity to run a little experiment: honey vs. sugar. (Sorry guys, you’re my guinea pigs.) 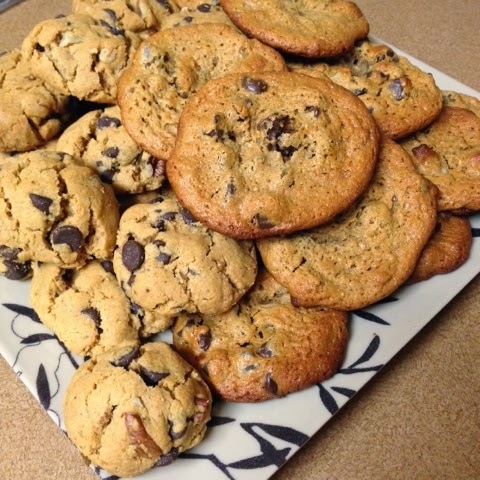 The recipe calls for 3/4 cup sugar, but in general I bake with honey try to avoid refined sugar. So I made two batches of cookie dough, one with sugar and one with honey. 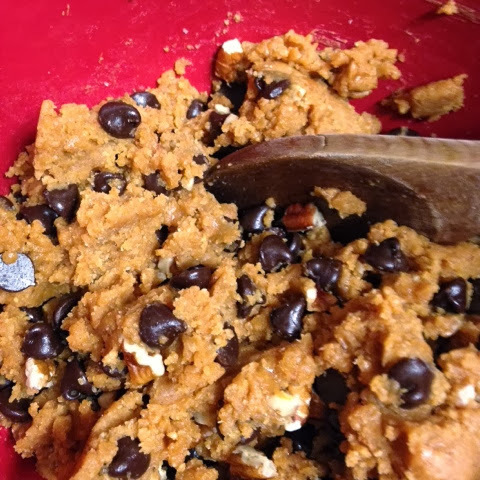 The cookie dough is a mixture of 4 simple ingredients — peanut butter, sugar (or honey! ), baking soda, and an egg. 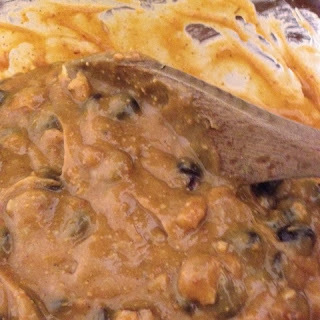 Then chocolate chips and nuts are added. (I’m partial to pecans.) Bam. Done. 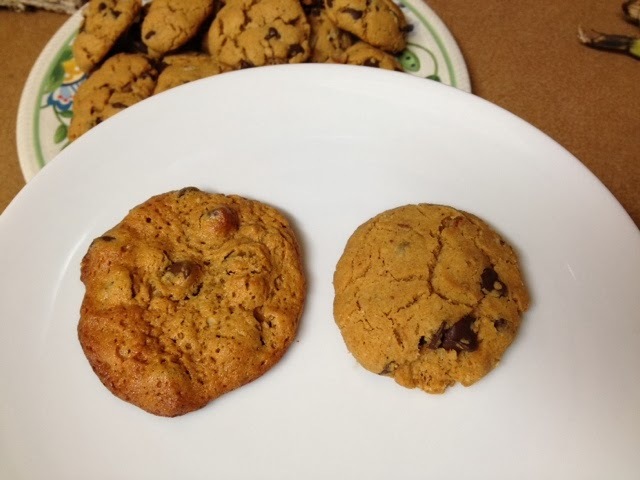 The consistency was very different between the sugar and honey batches… The dough w/ sugar was quite crumbly. I had to use my hands to press it into balls that would hold together. The dough w/ honey was extremely soft. I put it in the freezer for a while to firm it up, and then just scooped spoonfuls of it onto the baking sheet. The sugar dough took about about 13 minutes to bake, and the cookies very much held their shape. In fact, before baking the second batch of this dough, I flattened the dough balls. When it comes down to it, you really can’t lose with this recipe. I hope you enjoy! 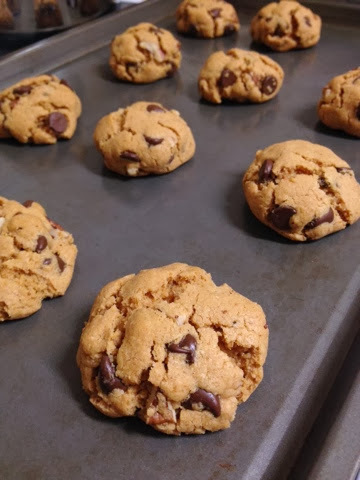 ***Update: The cookies seemed to be a hit with our Life Group today! Honey won the vote with them as well! Awesome! I look forward to trying out this recipe! Thanks for doing the comparison on honey and sugar! And- just found you on Bloglovin’ yay! That is my favorite way to keep track of blogs….cause they are all in one place! I hadn’t heard of Bloglovin’ before seeing it on your blog… I’ll have to check it out! I look forward to trying this simple and yummy recipe! I like keeping ground oats (oat flour) on hand and I might try tossing in a couple of tablespoons of it into the honey batch to try thickening the batter a touch. I’ll let you know what happens (and it would still be gluten free, right?). 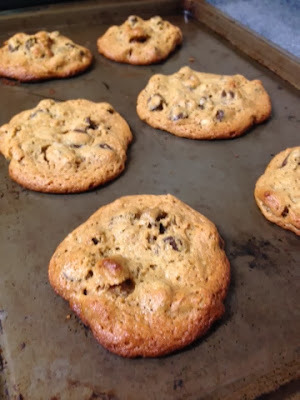 I find that recipes using honey as a sugar substitute can tend to brown quickly and that lowering the temperature like we do when baking in glass dishes can help with that. I’d like to put a batch of these dough balls in the freezer for a freshly baked option for visiting friends who are eating gluten free.Thanks for expanding my recipe box with great recipes! I never thought to lower the temp for honey – ha! That would have helped a lot. I adjusted the recipe just a bit. And I’ll bet ground oats would add great texture! I think I’ll try that next time around. I love your recipes Biz!